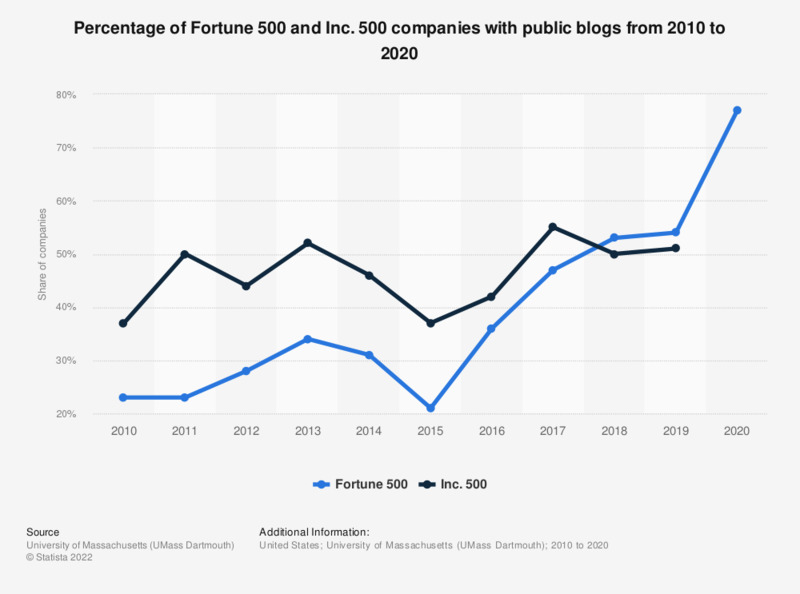 This statistic gives information on the percentage of Fortune 500 and Inc. 500 companies with public blogs from 2010 to 2017. During the survey period, it was found that 36 percent of Fortune 500 companies had blogs, up from 23 percent in 2010. In which of the following social media initiatives are you investing?